The Bau range of bathroom ceramics launched in 2017 and allows GROHE to offer a full bathroom solution for projects. 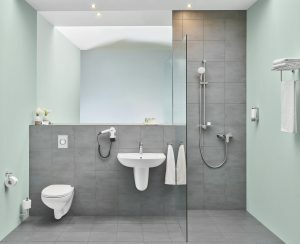 The GROHE bathroom category now encompasses sanitary ware, fixtures and fittings. Bau was developed with streamlined aesthetics and functionality in mind. Offering a contemporary, yet versatile design with soft, round forms that can work within any bathroom interior. Positioned at an affordable price point, the range offers on-trend features such as wall hung toilets and high-quality ceramics. Bau ceramic toilets come complete with rimless technology as standard, making them effortless to clean. Such an understated yet versatile design is the perfect solution for consumers working on DIY projects due to its ease of installation, accessible price point and all-round suitability to complement existing interior décor. Offering wide design variety, installers can choose between basins, toilets, urinals and Bau Cosmopolitan accessories, to ensure a perfectly coordinated finish for the client. Increasingly strict sustainability regulations in the housebuilding sector means there is an interest from specifiers for water-saving products. The expectation to conform to a rating system like LEED or the WELL efficiency label combined with the designer/specifier being more aware of sustainable products means we are seeing more technologies such as Infrared ‘touchless‘ taps being specified. At GROHE, we are committed to providing sustainable solutions, and many of our products feature water and energy saving technologies. For example, our EcoJoy technology works to reduce water consumption without impacting on product performance through aeration. Homeowners will still receive a powerful and enjoyable water experience. 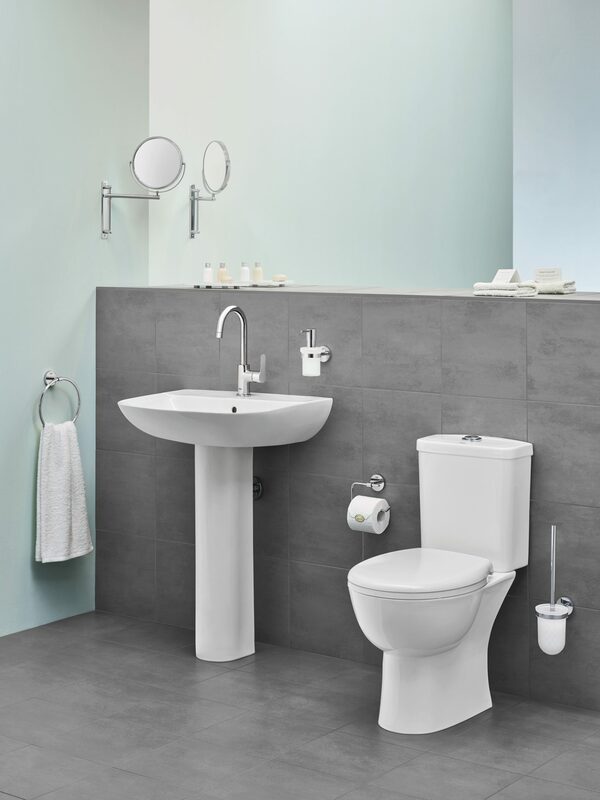 All fittings are available in various heights and models to best suit the room and space, from full and semi-basin pedestals to rimless wall-hung, floor-standing and close-coupled WCs. A variety of mounting options are also available for design flexibility and homes with multi-generational and less-able residents. All products have been designed to ensure a hassle-free and quick installation for specifiers and installers. For ultimate peace of mind, the Bau collection is available with a five year guarantee on all products.